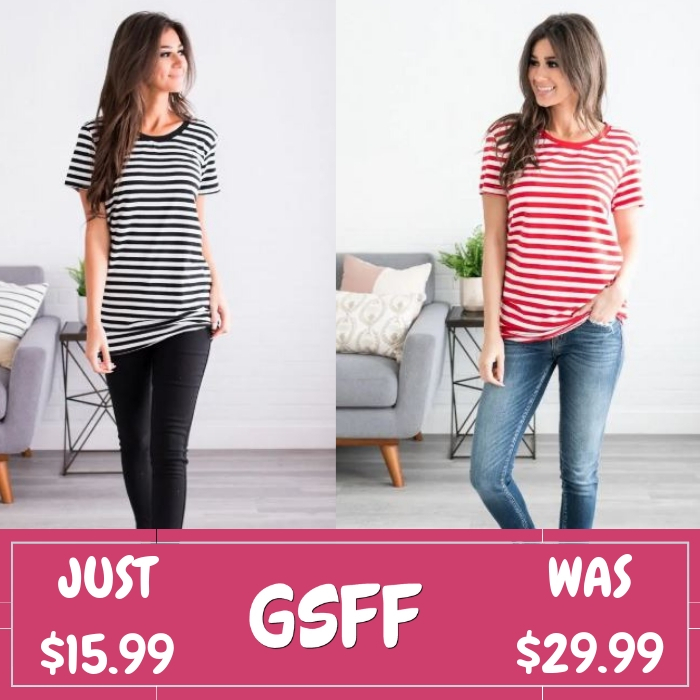 You are here: Home / Great Deals / Striped Boyfriend Tee Just $15.99! Down From $30! Shipped! Until February 18 only! At Jane, you can get this Kynlee Striped Boyfriend Tee for just $15.99 down from $29.99 PLUS FREE shipping! Every closet needs a good casual tee, and this new Kynlee Striped Boyfriend Tee is definitely a favorite! We love the trendy striped design, crew neck cut, and relaxed fit! This tee is so soft and comfortable you’re sure to find a way to wear it as much as possible. It is such a versatile piece, you can layer it under your favorite jean jacket, or rock it solo with your favorite skinnies and converse, any way you wear it, you’re sure to love the way you look and feel!